847 East 163rd Street South Holland, IL. | MLS# 10064098 | Welcome Evers Realty Group, your number one source on the web for NW Indiana Homes for Sale, Chicago South Suburban Homes and Indiana & Illinois Real Estate. 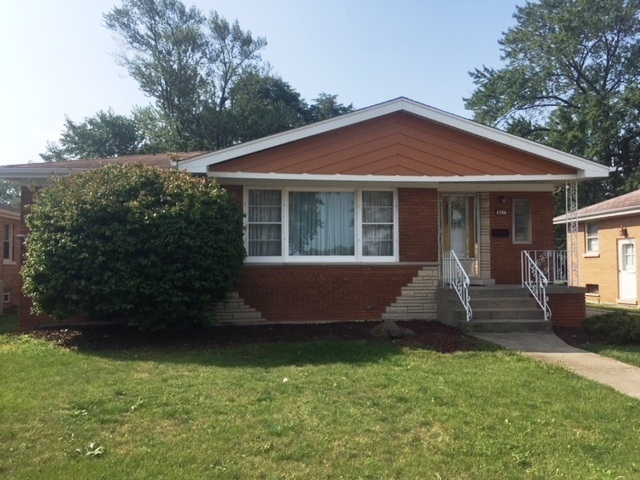 Immaculate brick ranch 4 bedroom home with full finished basement & beautiful hardwood floors in living room, dining room and mail floor bedrooms. Recent updates include new garage roof 92018), new house roof (8 yrs. ), new furnace & humidifier (3 yrs. ), new windows (8 yrs.) and new HWH (2 yrs.). main floor with living room, dining room, dine-in kitchen, 3 bedrooms, full & 1/2 baths. Finished basement with family room, 4 th bedrooms & huge laundry/utility room. Side drive to 2 1/2 car garage. Impeccably maintained, a great value.